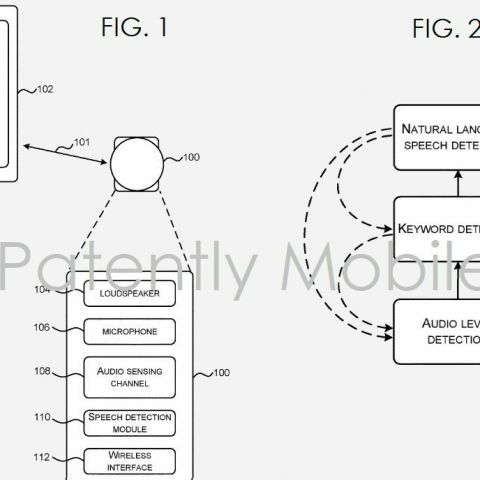 A Microsoft patent shows that the earbuds could wirelessly work with televisions, set-top-boxes and the Xbox. They could also communicate a user’s to-do or shopping list and set alarms to remind them of appointments. Apple launched its AirPods in 2016, when it unveiled the iPhone 7. With it, it also heralded the 'no-headphone jack' policy that continues to this day. The company favoured the use of Bluetooth earbuds and added a couple of functionalities to the device, like summoning Siri for tasks. Now a patent by Microsoft has shown the schematics of an audio device, which can work wirelessly and perform a number of tasks just like Apple AirPods. The design also implies that Microsoft’s smart earbuds may feature a lot more functionalities than AirPods. According to the Microsoft patent, which it filed in 2017 and has been published by the US Patent Office this week, Microsoft’s earbuds could wirelessly work with televisions, the Xbox and set-top-boxes. They could also communicate a user’s to-do or shopping list and set alarms to remind them of appointments, incoming email, among others. The patent also mentions that there could be a temperature sensor arranged to detect a wearer’s body heat. “In one embodiment the wearable audio accessory provides a speech based interface between the user and a nearby computing device for the performance of user-initiated or computing device initiated microtasks which they describe as asking for the weather, how your stock is doing today, what’s the traffic like, make a note / reminder, make a call and so forth. The information is provided to the user via a loudspeaker and the user can provide input via a microphone. An audio sensing channel within the accessory continuously monitors the audio signal as detected by the microphone and in various embodiments will trigger more complex audio processing based on this monitoring. A wireless communication link is provided between the accessory and the nearby computing device,” the patent reads. It is not known if or when Microsoft plans to launch the earbuds. The company may launch it under the Surface name alongside its long awaited Surface-branded smartphones. However, there is also a possibility that the company may scrap the device completely.